**CREATURE ALERT. Due to a facilities issue at the original location, the Gala will now be held at Movement Research, located at 150 1st Ave (at 9th st), NYC, inside the 122 Community Center building. Same party, same Creature, NEW locale. 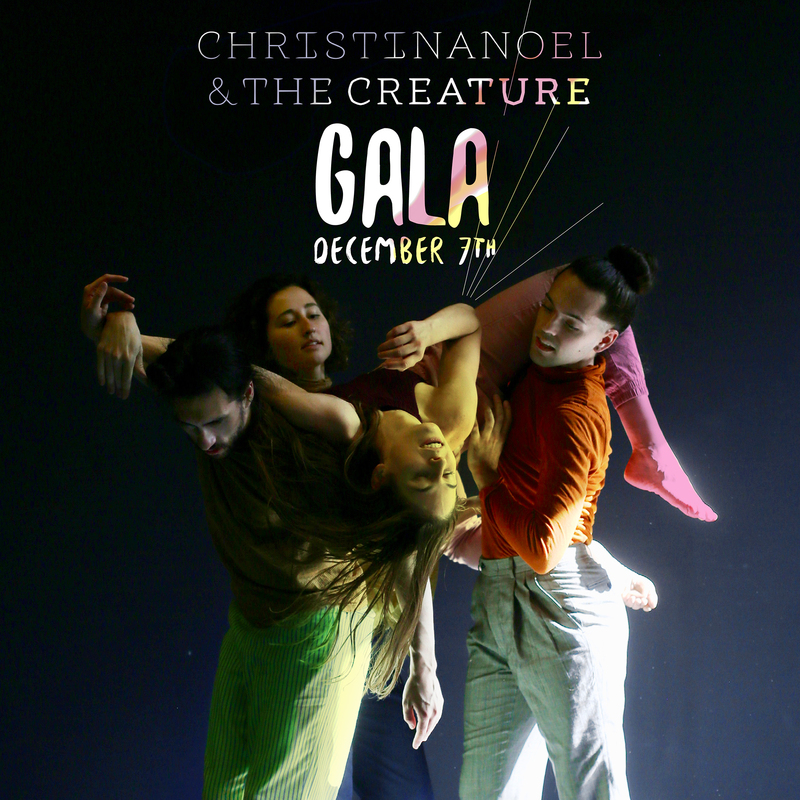 On Friday, December 7th, ChristinaNoel & The Creature will host its Sixth Annual Creature Gala, a celebration of dance, music, art, and self-expression in all its forms, at Movement Research. The evening will feature performances by ChristinaNoel & The Creature and the youth company, The Ephyras, plus a silent auction, guest performances, snacks, wine and beer, and our live Creature band. ChristinaNoel & The Creature is a Brooklyn-based dance theater company, led by ChristinaNoel Reaves, that produces immersive performance pieces. Comprised of dancers, musicians, and visual artists, the hybrid performance medium utilizes the dancers’ voices, bodies, and individual perspectives of the world. Doors open (and fun begins) at 7:30, show starts at 8pm.